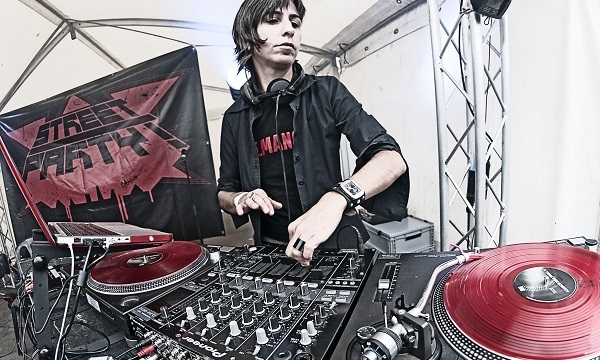 Based between Berlin and Istanbul, queer-living DJ & Producer İpek İpekçioğlu has an established reputation across heterogeneous nightlife scenes worldwide. Her captivating nomadic soundscapes operate outside of contemporary pop clichés, fusing both German and Turkish influences to create a euphoric eclectica of genre-hopping beats. This diverse mix has earned her a place as “one of Berlin’s most important cultural contributors” [Zitty Magazine]. Her debut compilation “Beyond İstanbul – Underground Grooves of Turkey” captured the spirit of radical social change and enthralled the press, who were stirred by her musical vision. “Ipek is a mistress of ceremonies for transcultural understanding” [Daniel Bax, Music Critic]. She received a German Record Critics’ Award and was named as a musical and political “visionary” by the Süddeutsche Zeitung. Londoners seemed to agree, as she was voted winner at the World Beat DJ Competition at Electrowerk and cited as a representative for “ideologically blinker-free living” by Rolling Stone Magazine. 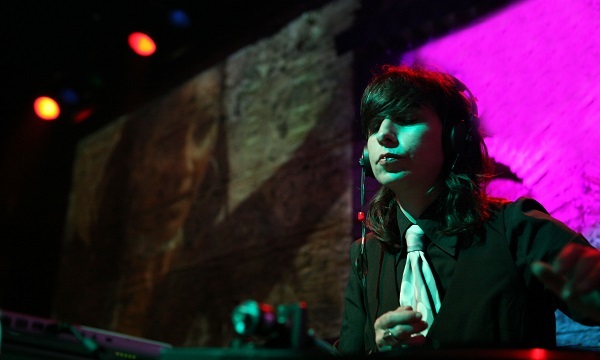 The Swedish queer magazine QX selected her hippest DJ in Europe the same year. After touring across Spain with NuFlamenco Band Ojos de Brujos and playing at clubs and festivals in Salvador de Bahia, Marseille, Los Angeles, Istanbul, Novosibirsk, UK, Erbil and São Paulo, she made exclusive tours through China, Egypt, Jemen and India. In Stockholm, İpek is an annual host DJ at the RE:Orient festival, and has been creating a buzz amongst international crowds from New York City to the desert Sahara of Mali, developing an exclusive brand name with her unique & hybrid Soundmix of Middle Eastern FolkElektroFusion, psychedelic Anatolian-Pop and GypsyFunk tunes interwoven with Berlin Minimal Tech-House & Elektro as well as Drum’n’Bass / Break Beat flavours. Within her eklektik Soundmix, she enjoys flirting with musical stereotypes but also captures your attention by unknown insiders. At home in Berlin she is best known for her ethnic-electronic sets fuelled by kicking beats and dramatic basslines. Resident DJ at popular venues such as GayHane-HomOriental-Party @ SO36, Kanakwood-PostMigrantSounds, Berlinale, Radialsystem and Maxim-Gorki-Theater, she also curates the successful Beyond Istanbul Live Sessions, which have been hosting bands such as Brenna MacCrimmon, Fairuz Derin Bulut, Replikas, Bandista, Hakan Vreskala. Aside from DJ-ing, remixing and producing İpek is active in her neighbourhood working as the music director of the prestigious post-migrant Theatre Ballhaus Naunystraße in Berlin Kreuzberg and CrossKultur-Festival. For the 1st May event MyFest in Kreuzberg she designs her own stage called ImPort-ExPort, inviting bands to perform for an audience of up to 10,000 people. Last but but not least, Ipek also is a board member of the radiostation Reboot Fm and a member of the female electronic musicians collective Female Pressure. She is also a patron of the “Schools without racism – Schools with courage” initiative in Berlin, and leads workshops and lectures about transcultural clubbing. 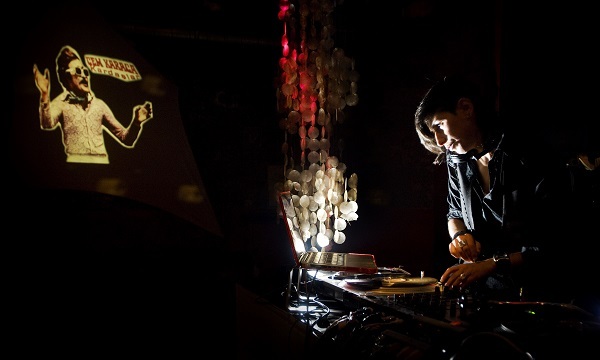 Besides all these activities Ipek shares her knowledge in DJ-workshops and lectures about hybride and queer identities plus transcultural clubbing.